Adventure Scuba offers PADI Scuba Diving classes for all levels of divers, starting with Basic Open Water Diver, continuing your education with Advanced Open Water, all the way to PADI Assistant Instructor. 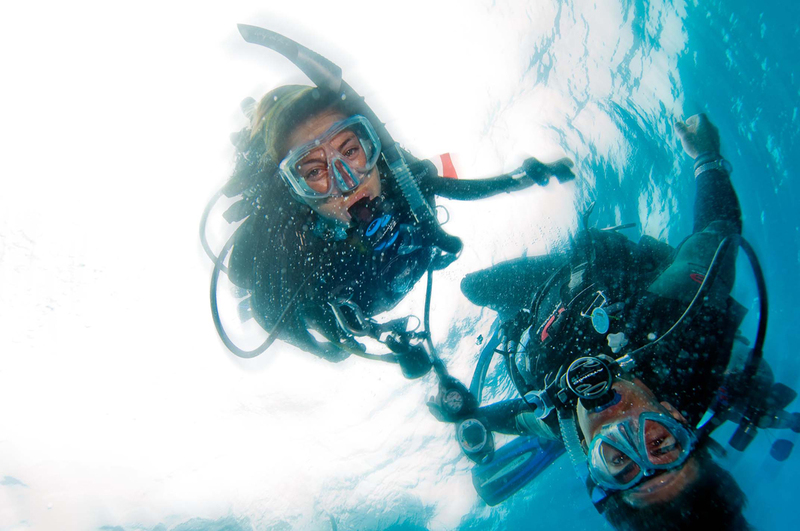 Whether you are just beginning your dive adventures are an experienced diver who is ready to expand their dive experience we have a class for you. Our current schedule of courses is listed below. We are also able to offer most classes on a one-on-one basis, if a scheduled class does not fit your needs. Give scuba a try! Our Discover Scuba Experience let’s your try out scuba before signing up for class. With your first breaths underwater you will be hooked! Our Discover Scuba Diving Experiences may be set up for many times, call to set your’s up today. We’ve designed our Open Water class to accommodate busy schedules! Using the PADI eLearning/Touch program, you can complete the classroom portion of the course at your own pace, in the comfort of home. When you have completed your eLearning or Touch course, you are ready to head to the pool to complete the training dives. Upon successful completion of your class & pool training you are now ready to explore the real underwater world. This is the final step of your basic training. During your certification dives, you demonstrate to your PADI instructor your mastery of the skills you learned in the pool dives. Open Water certification dives can be completed locally or on your vacation. Your PADI Open Water Diver card is your passport to a life time of fun and adventure, world wide. Your PADI Open Water card is just the first step in your diving adventure. Further develop your diving skill and enjoyment by completing your Advanced Open Water Certification. This course is fun and introduces you to a variety of types of dives and opens new doors on specialty dives. The class materials are available in either a traditional book/video format or eLearning. Dives are primarily scheduled during the spring & summer months and can also be completed while on a dive vacation. To Be Determined, rosters for Spring, Summer, and Fall training available.